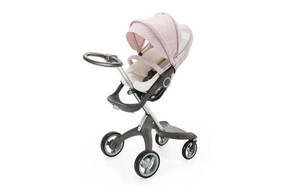 Snapshot: The Stokke Xplory is a single stroller with four wheels. But how safe and easy to use is it? Failed one major safety test: at their longest and shortest settings, the harness loops are a strangulation risk. Not suitable for a newborn baby.